*House Of Holland x The Body Shop® Limited Edition Brush Collection 50% off from thebodyshop.com. Price: $30.00. Discount: $30.00 off. Categories: Beauty, Brush, Collection, Face, Makeup. Deal Rating: 4.7 Stars out of 5. Store Rating: 5 Stars out of 5. Deal Recommendation: recommended. Available Until: not specified. Thoughts: not specified. Deal Score: 80 out of 100. 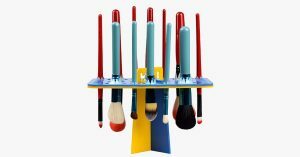 **Professional Brush Drying Organizer from freeshipdeals. Price: $29.99. Discount: $30.00. Categories: Beauty, Makeup, Brushes, Sponsored. Deal Rating: 4.5 Stars out of 5. Store Rating: 4.5 Stars out of 5. Deal Recommendation: Recommended. Available Until: Limited Quantity. Thoughts: Clearance – Professional Brush Drying Organizer. Deal Score: 60 out of 100. **Quick Eyelash Drying Fan from freeshipdeals. Price: $32.99. Discount: $33.00. Categories: Beauty, Makeup, Gadgets, Sponsored. Deal Rating: 4.5 Stars out of 5. Store Rating: 4.5 Stars out of 5. Deal Recommendation: Recommended. Available Until: Limited Quantity. Thoughts: Clearance – Quick Eyelash Drying Fan. Deal Score: 60 out of 100. **Professional 20Pc Brush Set with Voguish Case from freeshipdeals. Price: $24.99. Discount: $25.00. Categories: Beauty, Makeup, Brushes, Sponsored. Deal Rating: 4.5 Stars out of 5. Store Rating: 4.5 Stars out of 5. Deal Recommendation: Recommended. Available Until: Limited Quantity. Thoughts: Clearance – Professional 20Pc Brush Set with Voguish Case. Deal Score: 60 out of 100. 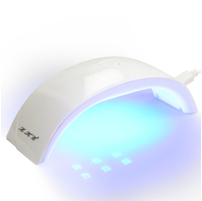 **Portable LED UV Nail Dryer from allthingstrendy. Price: $14.99. Discount: $15.01. Categories: Beauty, UV Nail Dryer, Sponsored. Deal Rating: 5 Stars out of 5. Store Rating: 5 Stars out of 5. Deal Recommendation: Recommended. Available Until: Limited Quantity. Thoughts: Clearance – Portable LED UV Nail Dryer. Deal Score: 60 out of 100. **Dewdrop Blending Makeup Sponge Set from allthingstrendy. Price: $6.99. Discount: $7.01. Categories: Beauty, Makeup Sponge Set, Sponsored. Deal Rating: 5 Stars out of 5. Store Rating: 5 Stars out of 5. Deal Recommendation: Recommended. Available Until: Limited Quantity. Thoughts: Clearance – Dewdrop Blending Makeup Sponge Set. Deal Score: 60 out of 100. 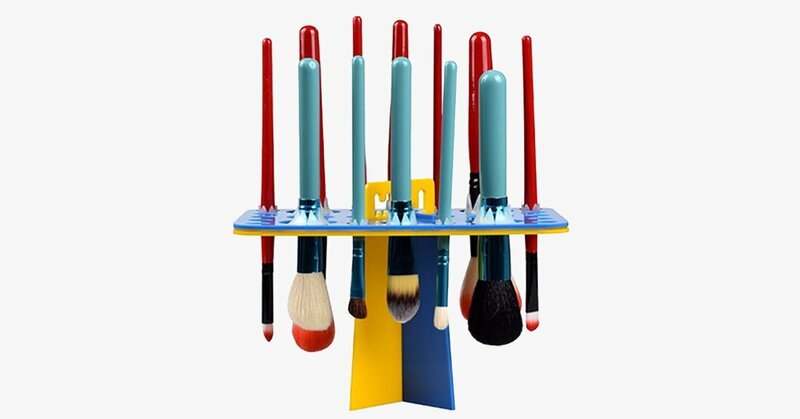 **Professional Makeup 12 Brush Set from allthingstrendy. Price: $24.99. Discount: $35.01. Categories: Beauty, Makeup Brush Set, Sponsored. Deal Rating: 5 Stars out of 5. Store Rating: 5 Stars out of 5. Deal Recommendation: Recommended. Available Until: Limited Quantity. Thoughts: Clearance – Professional Makeup 12 Brush Set. Deal Score: 70 out of 100. 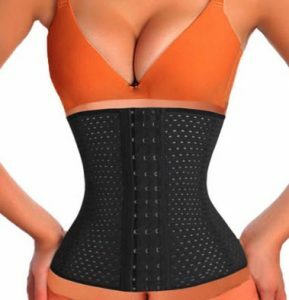 **Ultra Fit Waist Trainer from allthingstrendy. Price: $16.99. Discount: $21.01. Categories: Beauty, Waist Trainer, Sponsored. Deal Rating: 5 Stars out of 5. Store Rating: 5 Stars out of 5. Deal Recommendation: Recommended. Available Until: Limited Quantity. Thoughts: Clearance – Pleated Khaki Green Iridescent Clutch Purse Evening Bag. Deal Score: 70 out of 100. **Waist Slimming Shapewear Tank Top from allthingstrendy. Price: $14.99. Discount: $23.01. Categories: Beauty, Shapewear, Tank Top, Sponsored. Deal Rating: 5 Stars out of 5. Store Rating: 5 Stars out of 5. Deal Recommendation: Recommended. Available Until: Limited Quantity. Thoughts: Clearance – Waist Slimming Shapewear Tank Top. Deal Score: 70 out of 100. **Deluxe Triple Magnetic 3-D Effect Eyelashes from allthingstrendy. Price: $12.99. Discount: $15.01. Categories: Beauty, Eyelashes, Sponsored. Deal Rating: 5 Stars out of 5. Store Rating: 5 Stars out of 5. Deal Recommendation: Recommended. Available Until: Limited Quantity. Thoughts: Clearance – Deluxe Triple Magnetic 3-D Effect Eyelashes. Deal Score: 70 out of 100. 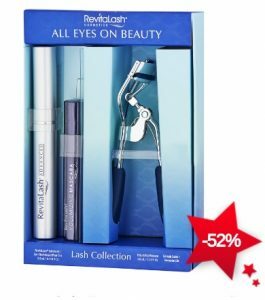 **Advanced Eyelash Conditioner Set (with Mascara + Eyelash Curler) from cosme-de. Price: $81.00. Discount: 52%. Categories: Beauty, Cosmetics, Eye, Makeup, Set, Sponsored. Deal Rating: 5 Stars out of 5. Store Rating: 5 Stars out of 5. Deal Recommendation: Recommended. Available Until: Limited Quantity. Thoughts: Clearance – Advanced Eyelash Conditioner Set (with Mascara + Eyelash Curler). Deal Score: 60 out of 100. **Gongjinhyang 5Pcs Special Gift Kit from cosme-de. Price: $35.00. Discount: 69%. Categories: Beauty, Cosmetics, Skincare, Set, Sponsored. Deal Rating: 5 Stars out of 5. Store Rating: 5 Stars out of 5. Deal Recommendation: Recommended. Available Until: Limited Quantity. Thoughts: Clearance – Gongjinhyang 5Pcs Special Gift Kit. Deal Score: 90 out of 100. **Sulwhasoo Basic Kit (5 items) from cosme-de. Price: $25.00. Discount: 53%. Categories: Beauty, Cosmetics, Skincare, Set, Sponsored. Deal Rating: 5 Stars out of 5. Store Rating: 5 Stars out of 5. Deal Recommendation: Recommended. Available Until: Limited Quantity. Thoughts: Clearance – 3-Piece Skincare Set. Deal Score: 65 out of 100. **5-in-1 Exfoliating Face and Body Massager from skusky. Price: $10.00. Discount: 66.66%. Categories: Beauty, Gadgets, Sponsored. Deal Rating: 5 Stars out of 5. Store Rating: 5 Stars out of 5. Deal Recommendation: Recommended. Available Until: Limited Quantity. 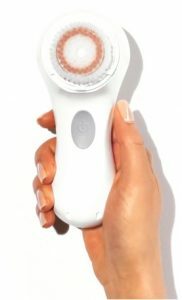 Thoughts: Clearance – 5-in-1 Exfoliating Face and Body Massager. Deal Score: 90 out of 100. **20-Piece Set: Smart Essentials Manicure and Pedicure Travel Case from skusky. Price: $6.99. Discount: 76.69%. Categories: Beauty, Gadgets, Sponsored. Deal Rating: 5 Stars out of 5. Store Rating: 5 Stars out of 5. Deal Recommendation: Recommended. Available Until: Limited Quantity. Thoughts: Clearance – 20-Piece Set: Smart Essentials Manicure and Pedicure Travel Case. Deal Score: 90 out of 100. **Detangling Hair Straightener Brush – Assorted Colors from skusky. Price: $19.99. Discount: 83.34%. Categories: Beauty, Gadgets, Sponsored. Deal Rating: 5 Stars out of 5. Store Rating: 5 Stars out of 5. Deal Recommendation: Recommended. Available Until: Limited Quantity. Thoughts: Clearance – Detangling Hair Straightener Brush – Assorted Colors. Deal Score: 100 out of 100. 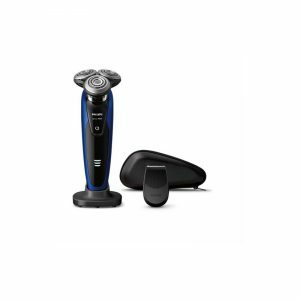 **Philips Series 9000 Wet and Dry Men’s Electric Shaver – S9186/12 – Black/ Blue from eglobalcentral. Price: $209.99. Discount: 30%. Categories: Beauty, Men, Grooming, Shaver, Sponsored. Deal Rating: 4.8 Stars out of 5. Store Rating: 5 Stars out of 5. Deal Recommendation: Recommended. Available Until: Limited Quantity. Thoughts: Get the prefect close shave. The V-Track Precision Blades gently positions each hair in the best cutting position, even the flat laying and different length of hairs. Cuts 30% closer in less strokes leaving your skin in great condition. Heads flex in 8 different directions for a superb result Follow every contour of your face and neck with 8-directional ContourDetect heads. You’ll catch 20% more hairs with every pass. Resulting in an extremely close, smooth shave. **Philips Series 7000 Wet and Dry Men’s Electric Shaver – S7521/12 -White/ Blue from eglobalcentral. Price: $178.99. Discount: 41%. Categories: Beauty, Men, Grooming, Shaver, Sponsored. Deal Rating: 5 Stars out of 5. Store Rating: 5 Stars out of 5. Deal Recommendation: Recommended. Available Until: Limited Quantity. Thoughts: Our Comfort rings contain a unique coating – consisting of thousands of powder-like beads – which creates a soft, low-resistance surface. Therefore, the shaver glides effortlessly across your face and reduces irritation, while leaving your skin smooth. Blades gently guide hairs for a close, sensitive shave. Our specially-designed blade system protects your skin while cutting extremely close on long, short and flat-lying hairs. The slots are engineered to position each hair at its ideal cutting point, so as to carefully cut without damaging your skin. **Philips Series 9000 Wet and Dry Men’s Electric Shaver – S9552/12 – Black/ Brown from eglobalcentral. Price: $299.99. Discount: 25%. Categories: Beauty, Men, Grooming, Shaver, Sponsored. Deal Rating: 4.5 Stars out of 5. Store Rating: 5 Stars out of 5. Deal Recommendation: Recommended. Available Until: Limited Quantity. Thoughts: Get the prefect close shave. The V-Track Precision Blades gently positions each hair in the best cutting position, even the flat laying and different length of hairs. Cuts 30% closer in less strokes leaving your skin in great condition. Heads flex in 8 different directions for a superb result. Follow every contour of your face and neck with 8-directional ContourDetect heads. You’ll catch 20% more hairs with every pass. Resulting in an extremely close, smooth shave.